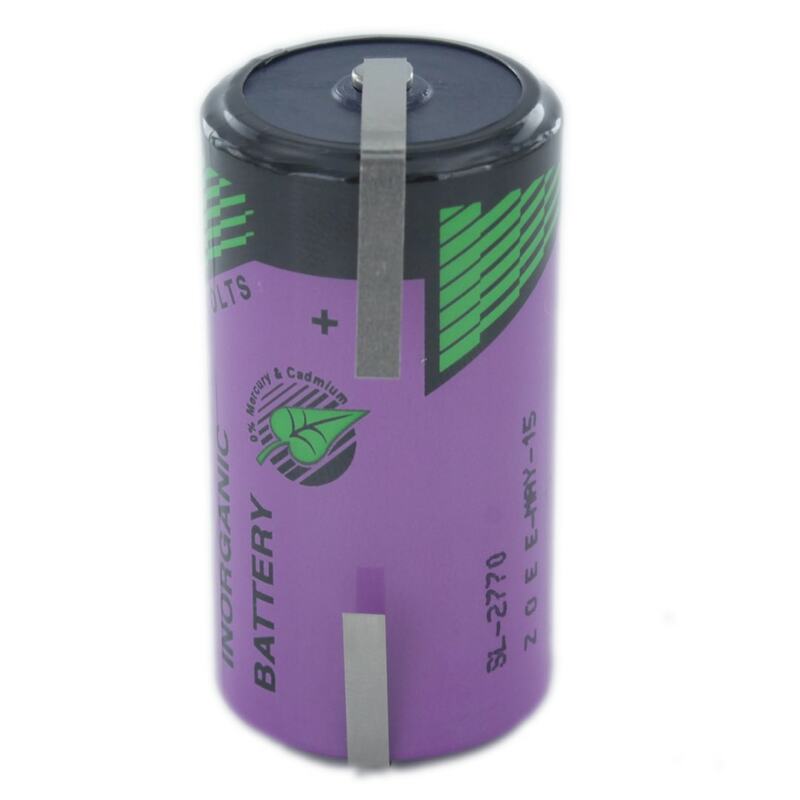 The Tadiran SL2770/T is a tagged C size lithium battery which particularly excels in long term stand-by applications. This makes it well suited to a wide range of memory back-up applications, including but not limited to a range of CNC Machines. The tagged version in particular of this cell is used in a variety of custom battery packs. If you need an alternate termination on this battery, please see the related products section.